As soon as you lay eyes on this 0.58 carat total weight diamond ring, you'll know you've found the one. Showcasing a round brilliant diamond surrounded by a glistening halo, the diamond set shoulders and signature pink sapphire set in 14kt rose gold add to the striking look. Exquisitely detailed with intricate milgrain detailing on the 14kt white gold band, this is a ring fit for your one and only. 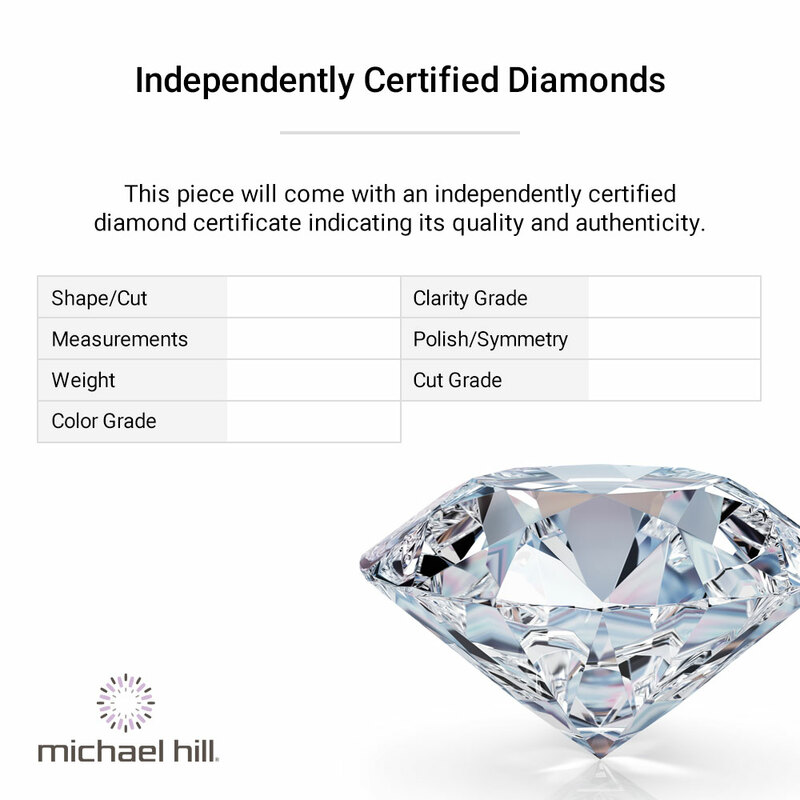 Exclusive to the Sir Michael Hill Designer Bridal Collection.